Pennsylvania, or the Keystone State, is home to the Eastern Hemlock, which is also known as the Canadian Hemlock. This large, coniferous tree grows beyond 100 feet, living for well over 500 years. The oldest recorded Eastern Hemlock stands in Pennsylvania, and is estimated to be 554 years old. The trunk it thick, too, measuring between 5 and 6 feet in diameter. 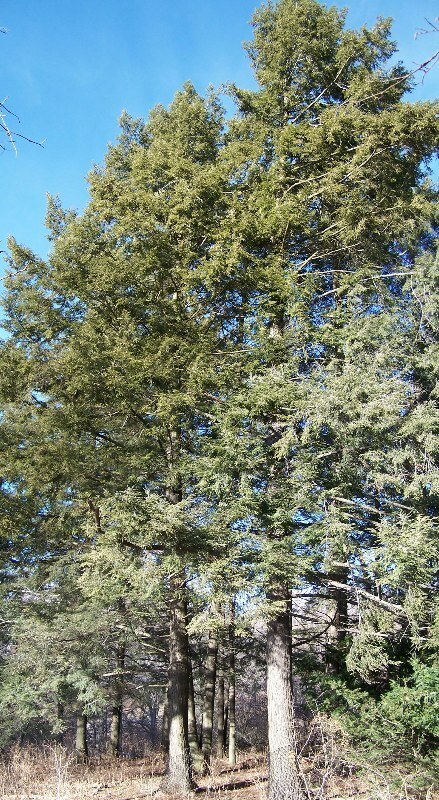 The overall shape of the Eastern Hemlock is conical, and its small needlelike leaves occur in bunches of two. The seed cones of the Eastern Hemlock are relatively small for such a large tree, measuring less than an inch tall and oval in shape. The wood of the Eastern Hemlock was especially valuable during the era of railroads, when the wood was used to hold railroad ties. Although an impressive addition to a Pennsylvania backyard, the Pennsylvania grower has hundreds of tree varieties from which to choose when planting. Ideal for providing unique fall colors, shade, climate tolerance. Ideal for bearing fruit, providing color, and delicious, edible profits. As property in Pennsylvania continues to be developed, land owners are searching for trees that will provide privacy from prying neighborly eyes and loud, unwanted noise. There are many fast growing privacy trees in Pennsylvania, which will quickly grow after initial planting to offer your property and family long sought-after privacy. The Thuja Green Giant, a staple of privacy trees throughout Pennsylvania, is a fast-growing pine that will quickly provide a barrier between you and your neighbors. Growing between 3-5 feet a year, the Thuja Green Giant will offer your yard classic French design with minimal hassle. Alternatively, the Leyland Cypress and American Holly will also add color and privacy to your yard’s perimeter. Generally, Pennsylvanians experience hot, humid summers and cold, somewhat snowy winters, despite the fact the state experiences a variety of climates. Most of the state falls into the humid continental climate, though the southern regions of the state have characteristics of a humid subtropical climate. The record high temperature stands at 111°F from 1936, so though usually summer temperatures linger in the mid80s to low90s. In 1904, Smethport recorded a temperature as low as -42°F. Temperatures do drop to subzero temperatures for lengths of time, though temperatures in the low record range are rare. Most trees require well-drained soil rich with minerals to grow. The dark, loamy Hazelton soil originated in the city of Hazelton in central Pennsylvania. Covering more than 1.5 million acres of Pennsylvania, Hazelton soils were once home to the northern hardwood forests, though they are also responsible for the success of tobacco and agricultural farms. Regardless of the property’s location in The Keystone State, a soon-to-be tree planter can perform a simple test to determine his/her soil type. Rainfall is plentiful and constant, and the state receives on average 41.45 inches of rain annually. Snow falls moderate to heavy throughout the state, which averages 23 inches throughout the state. The interior of Pennsylvania is mountainous, and this brings with it colder winters and heavier snowfall. Occasionally, areas near Lake Erie will collect as much as 100 inches of snow annually. Despite regular and consistent rainfall, irrigation can be an important tool for a new tree planter to consider in order to produce the best effect in planting. Newly planted trees require consistent and well-controlled access to water; some species require water at least 2 to 3 times a week. Even in states like Pennsylvania, where the quantity and monthly averages of rainfall totals can be quite high, a well-maintained irrigation system can help to ensure successful growth of a plant during those inevitable dry, hot summer and fall weeks. 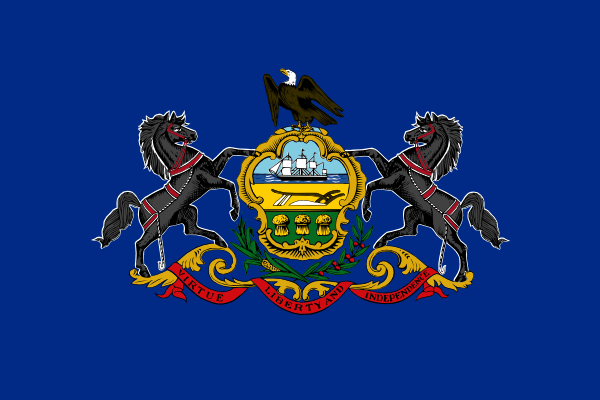 Pennsylvania is home to six unique growing zones. A growing zone simply refers to the USDA’s determination of areas where certain plants are most likely to thrive, preferring to focus on minimal temperature ranges in which a plant can survive. The southeastern corner is warmest, and temperatures rarely drop below -5°F for long. Moving northwest, temperatures cool significantly. In higher elevations of the Allegheny National Forest, temperatures may linger between -25°F and -20°F for extended lengths of time. Tropical storms and tornadoes are the most common natural disasters to visit the state, though floods in spring are not altogether uncommon. The summer and fall bring tropical cyclones, sometimes dropping as much as 19 inches of rainfall in a single storm. 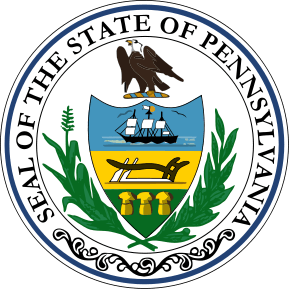 This is often the cause of the flooding, which affects many of Pennsylvania’s high population areas. In 2011, Pennsylvania experienced 30 tornadoes, though typical years level the average down significantly. Plant new trees away from powerlines and buildings, and remember trees can protect against erosion. If you prefer to purchase your trees or shrubs in person instead of online, we offer this comprehensive guide to purchasing a tree at your local Pennsylvania nursery or garden center. However, since we don’t actually live in Pennsylvania we can’t guarantee this list to be 100% accurate – but we did attempt to be as accurate as we possibly could. We have no affiliation with any of the businesses listed below and make no guarantees as to the businesses’ ability or the quality of trees you will receive. As with any purchase you make, be sure to check out the business with the Better Business Bureau, references, and any other sources you may have.